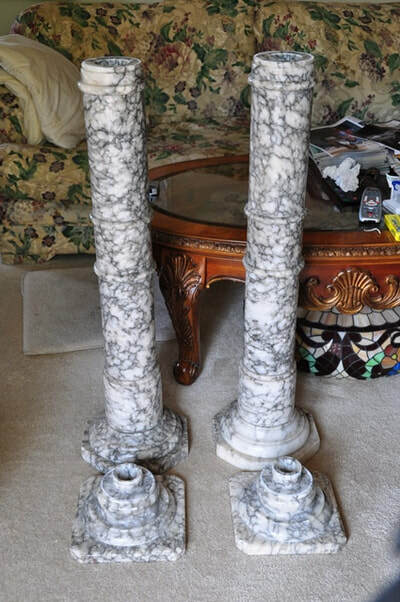 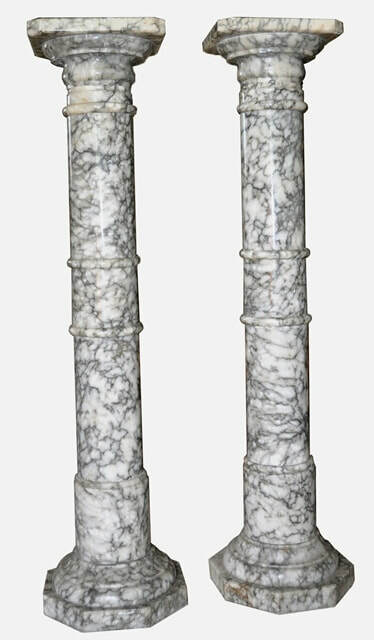 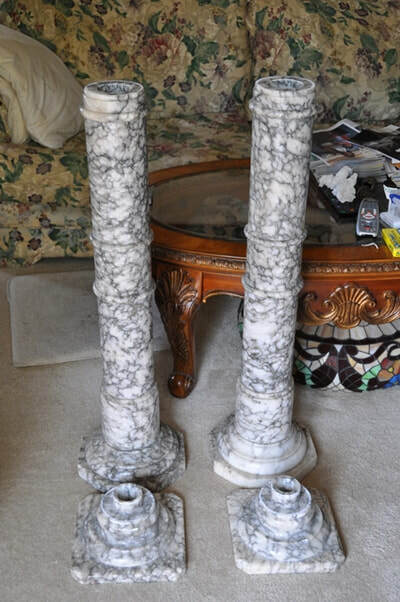 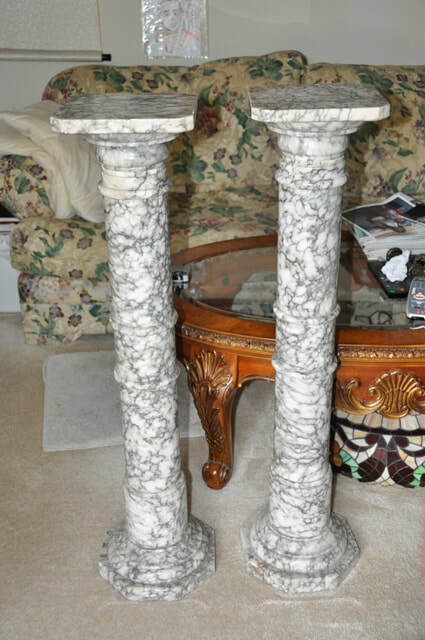 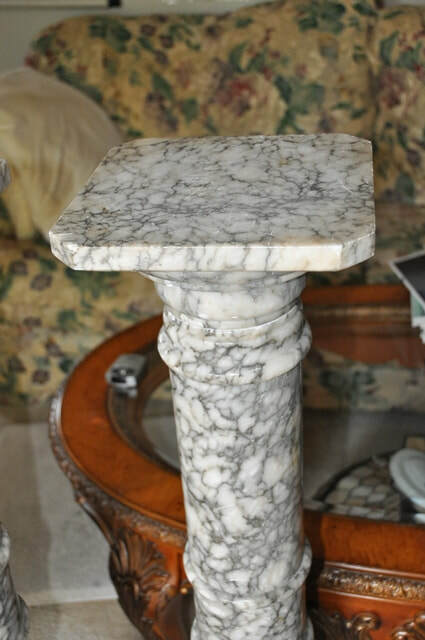 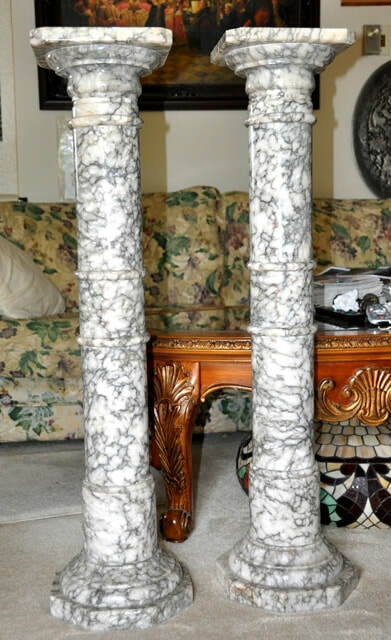 This is a pair of antique marble columnar pedestals for displaying statues, bust, plant or other pieces of art. 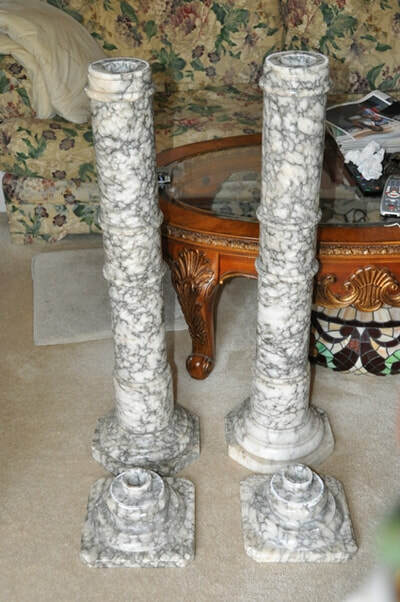 Each are made out of variegated white-to-gray marble. 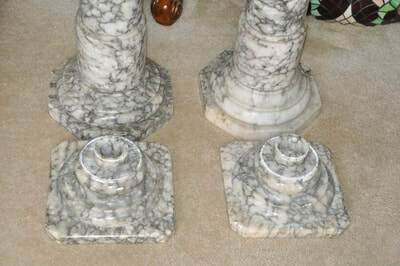 Square tops with faceted corners sit on turned columns on octagonal plinths. Overall, they are about 42" tall and weight 50 lb each. The separable square tops are about 10"x10" in size and can rotate about the columns.